• Congressional committees are holding hearings today on federal oversight of the aviation industry, including how Boeing’s 737 Max plane, which has been involved in two deadly crashes, was certified. • Elaine Chao, the secretary of transportation, faced a number of questions about the 737 Max. • Lawmakers pressed Ms. Chao about the relationship between the Federal Aviation Administration and companies it regulates, like Boeing. 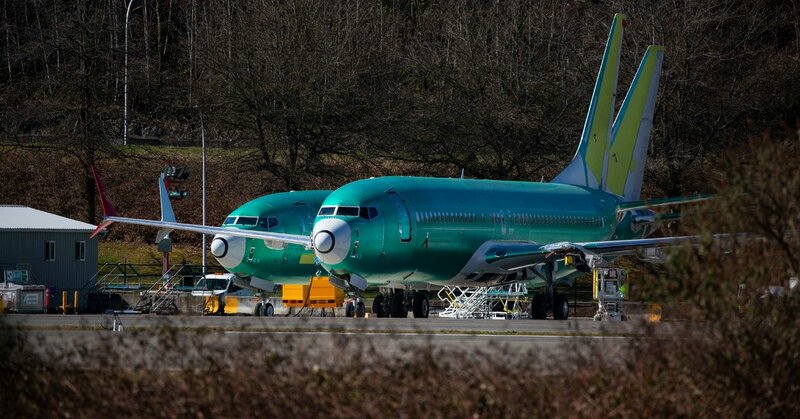 • Boeing executives are meeting with about 200 pilots, airline executives and regulators in Renton, Wash., to review proposed changes to the 737 Max. The busy day on Capitol Hill began at 10 a.m. when the Senate Appropriations Committee’s transportation subcommittee convened a hearing with Elaine Chao, the secretary of transportation. The hearing was ostensibly about the Transportation Department’s budget request for the 2020 fiscal year, but lawmakers used it to question her about the 737 Max. Over the course of the two-hour hearing, Ms. Chao faced questions on a variety of issues related to the 737 Max, including the F.A.A.’s reliance on manufacturers in the certification process, the existence of optional safety features for the Max and why the F.A.A. did not move more quickly to ground the plane after the crash in Ethiopia. At 3 p.m., the Senate Commerce Committee’s aviation subcommittee will hold a hearing on aviation safety, with a focus on the recent crashes. Scheduled to testify are Daniel K. Elwell, the F.A.A.’s acting administrator; Robert L. Sumwalt, the chairman of the National Transportation Safety Board; and Calvin L. Scovel III, the Transportation Department’s inspector general. Hours before Mr. Scovel’s appearance, his office formally announced that it would conduct an audit of the F.A.A.’s certification of the 737 Max, as Ms. Chao had requested last week. There is also plenty of activity at Boeing’s offices in Renton. The company, which initially had little to say since the crash in Ethiopia and the crisis it has faced since, held an early-morning briefing for reporters, followed by a factory tour. Later in the day, Boeing executives — though not the chief executive, Dennis A. Muilenburg — were meeting with about 200 pilots, airline executives and regulators to review proposed changes to the 737 Max. In October, Lion Air Flight 610 crashed just minutes after taking off from Jakarta, Indonesia, killing 189 people. Then, on March 10, Ethiopian Airlines Flight 302 also crashed minutes after takeoff, killing everyone on board. Both accidents involved Boeing’s 737 Max 8 jets. Investigations into both crashes are continuing, but preliminary flight data and other evidence have suggested similarities between the two accidents. Investigators are examining whether an automated system designed to help the plane avoid stalling may have been partly to blame. While the planes are grounded, Boeing is working on a software update that would change the way the system suspected in the crashes operates. The company is also working on outlining new training procedures for pilots who fly 737 Max planes, and will retrofit jets with a safety feature that was previously optional. The feature will be standard on new Max planes. Committee members pressed Ms. Chao on whether she would require Boeing to install safety features on all 737 Max planes. Boeing developed the 737 Max as the latest move in its rivalry with Airbus, the European plane manufacturer. When Airbus announced a more fuel-efficient version of its A320, the main competitor to the 737, Boeing risked losing major customers like American Airlines if it didn’t develop its own, more fuel-efficient planes. In order to respond to Airbus’s new plane as quickly as possible, Boeing decided to update its popular 737 instead of designing a new plane from scratch. To make the 737 more fuel efficient, Boeing gave it bigger engines. However, that update changed the plane’s aerodynamics and made it prone to stall in certain conditions. To reduce the risk of stalling, Boeing developed a software system that became known as MCAS. It made the 737 Max fly more like previous versions of the plane, but pilots were not explicitly informed about how it worked.